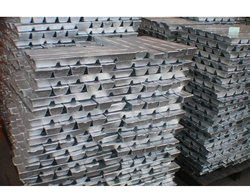 Providing you the best range of zinc alloy ingots with effective & timely delivery. We are the one of the major importers and stockiest of premium quality Zinc Alloy Ingots-Mazak/Zamak 3 & 5. Our Zinc Alloy Ingots or Mazak 3 & Mazak 5 are being manufactured as per International Quality Standards.